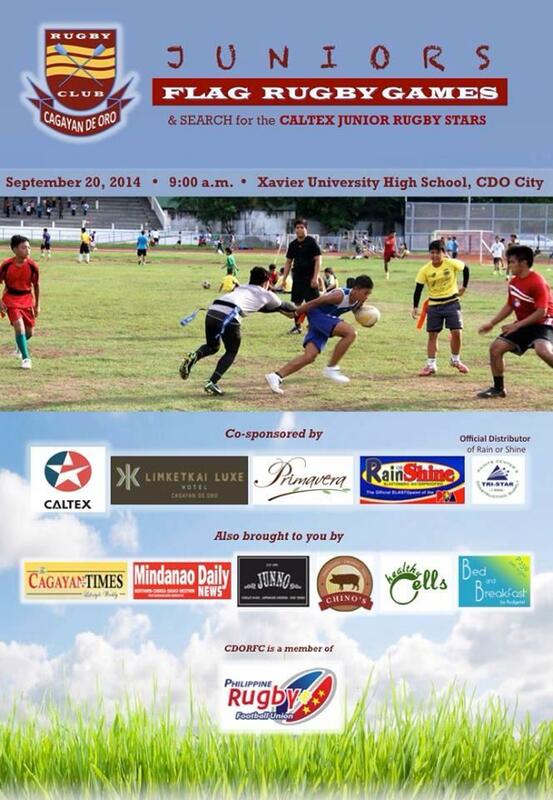 Prepare for an exciting weekend of Rugby Football as the Manila Hapons go head-to-head with our very own Cagayan de Oro Rugby Football Club, the CDO Rafters, during the first ever Higalaay Rugby Challenge this coming Saturday, September 20, 2014 at 1PM. Rugby football is the fastest-growing sport in the city and in just one year, our local team headed by coach Noel Villa, has already won a championship cup in the national games. As part of the team’s first anniversary celebration, they have invited to Cagayan de Oro the Manila Hapons, one of the strongest teams in Philippine Rugby. The Manila Hapons is a Manila-based International Touring team who are regulars in national and Asian games. 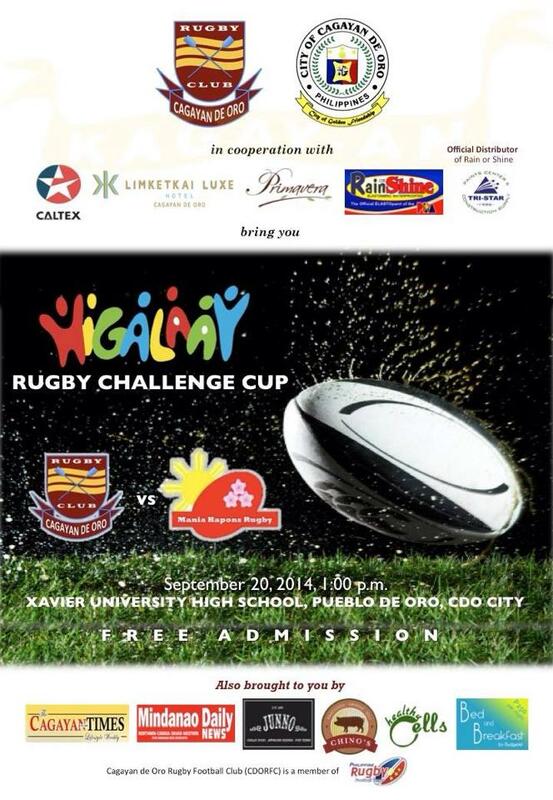 The team is headed by Masayuki Sekiguchi, a member of the national rugby team, the Philippine Volcanoes. Primavera Residences, a proud partner of the CDO Rafters, enjoins each and everyone to watch the games this coming Saturday, 1PM at Xavier University High School at Pueblo de Oro Business Park in Uptown Cagayan de Oro. Prior to the main event, juniors will also be playing Flag Rugby Games as part of the search for the Caltex Junior Rugby Stars. So bring your family and friends and get ready for a high-adrenaline weekend with your local rugby heroes! Primavera Residences is a twin-tower 1o-storey eco-friendly building located at uptown Cagayan de Oro. It recently won as the Best Mixed-Use Development for the Philippines in the Asia Pacific Property Awards. For more information, visit www.primaveraresidences.com or call 088-880-5002.